The An-2 Club offers flights, based in England. Some good photos and video. Antonov AN-2 owners and friends web page. Photos, links, much more. Antonov An-22. A large number of nice photographs of the An-22. An-22 Antei photographs. A large number of pictures of this giant prop aircraft. An-24 Includes specifications, photos, more. Antonov An-26 on the Internet Movie Plan Database lists all the moviews in which an An-26 is shown. Antonov An-38. Specifications, review and discussion. Classic Wings Bavaria will give you a flight in the An-2. Photos and discussion of the An-2F. In Czech only. Beriev Be-103. Includes a link to a comprehensive flight review of the aircraft. Air Charter Service Ilyushing Il-62 Includes some graphics of interest. Il-14P. Site offering one for sale provides photos and tech details of the airplane. 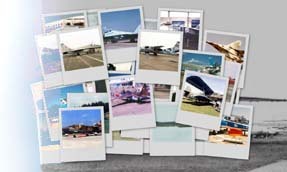 Il-18 Coot photographs. A large number of photos of the Il-18. Ilyushin Il-18 has some photos. Tupolev 104: Harsh Proof Of Rapid Soviet Progress (1956) in their "From the Archives" section. Tupolev Tu114/Tu95/Tu142. Includes some photos, including of the Bear aircraft. Tupolev Tu-124. A type of Wikipedia site I have not encountered before. I don't normally link to Wikipedia because it so often is incomplete or filled with errors. Includes links to videos. Tu-144 SST Accidents. Crashes in 1973 and 1978. Getting the Deal Through -- Air Transport, Russia. Everything to know about flying transport aircraft in Russia. InterJet Seat Maps -- Sukhoi Superjet 100-05. Includes some information about the aircraft as well as the seating layout. Line drawings Russian civil aircraft. Select first letter, such as "A," then scroll to the type, such as "Antonov." Very nice 3-view drawings. OOO Bilmer. Sells transport aircraft. In Russian and English. Totavia Aviation Information Services. Allows aviation enthusiasts to search for any aircraft type. Plenty of photos accompany the type of plane. Vadim Borisovich Shavrov. A short biography on the Russian Zoological Institute's site. It seems Shavrov was very interested in beetles. Also some aircraft photos. In Russian only.